Vectra Protector is now available to Carpet cleaners online. 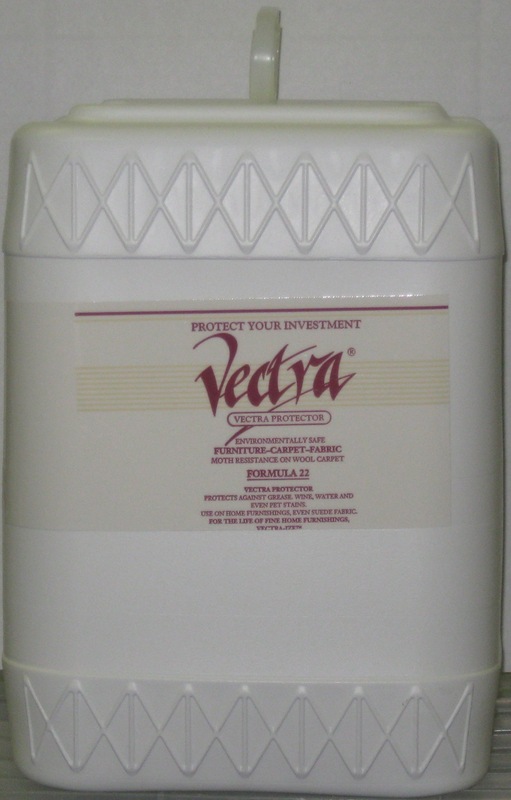 We now offer a 5-Gallon unit of Vectra Protector. It's non-toxic and environmentally friendly. Please read the Reasons for using Vectra. Rate of Coverage: 5000-6000 sq. feet of rugs and carpet or 50-70 pieces of furniture-sofas and arm chairs. Get Started with Vectra and be ahead of the pack as change is coming!